Crazy to believe it but this marks about a YEAR of me blogging about the bullet journal and hand lettering. 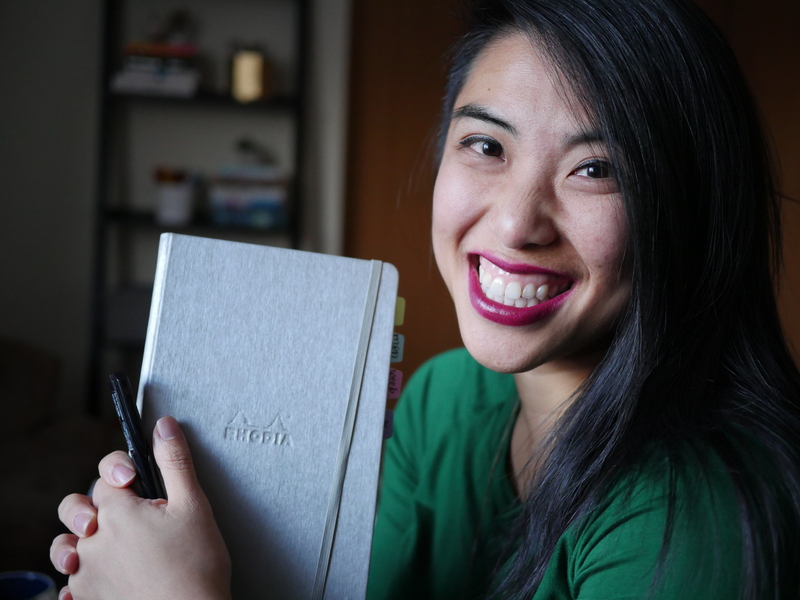 I started this endeavor a year ago as a way to add my voice to a budding bullet journal community through the #PlanWithMeChallenge. Over the next twelve months I could not have anticipated what would unfold for me. This community has given me so much and it’s time to celebrate with a giveaway! I’ve learned so much about not only the community but myself as well. There were things I NEVER imagined would be possible and day after day it slowly was. It only makes sense to go back to my roots for this giveaway – featuring Foxy Fix, May Designs, and JetPens. Once I settled on the traveler’s notebook system, I discovered and loved Foxy Notebook covers as an easy way to organize my chaos. Inside, I put the beautiful May Designs inserts, and used a whole new world of pens I discovered on Jetpens.com. And now you’ll have a chance to win that bundle for yourself! $25 Pretty Prints Shop credit to use once my shop opens in a couple weeks! The Instagram policies effective June 1 made it more difficult for giveaway widgets like these because they won’t allow for Follows on Instagram – so I’m trying my best to make those things clear in how to enter below – thanks for your grace! Click here for more ways to enter the Pretty Prints & Paper 50K Giveaway! This giveaway is open from Thursday, July 28 to Tuesday, August 2 at 11:59pm CST. I’ll draw a winner and announce them on Thursday, August 4. What do you recommend as a good starter kit to practice lettering? Your Blog is Very informative! i’m definitely taking notes!